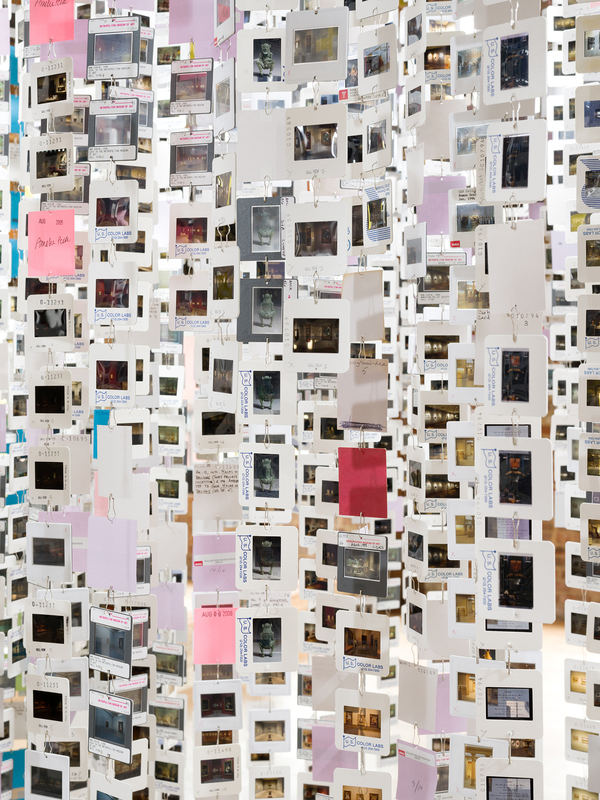 Using remnants bequeathed by The Metropolitan Museum of Art, Jean Shin’s MetaCloud explores the fragility of institutional memory when faced with the transition from analog to digital imagery. 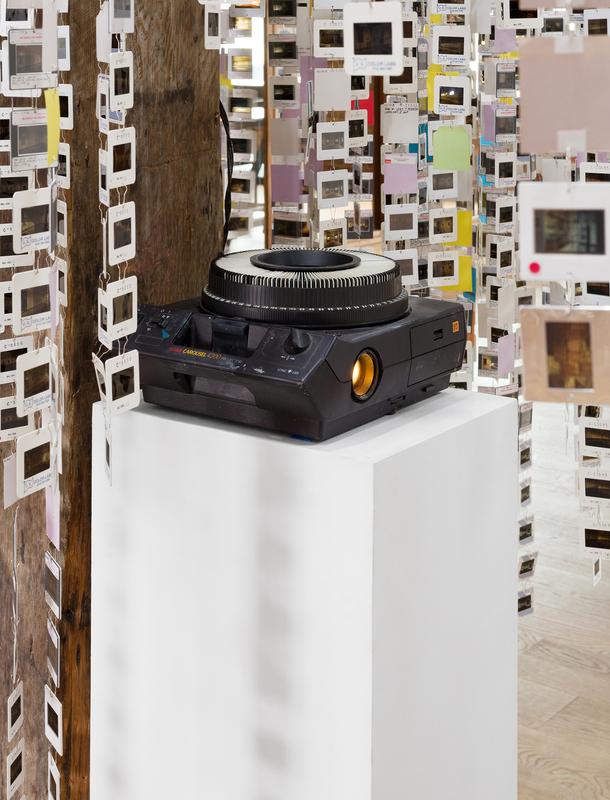 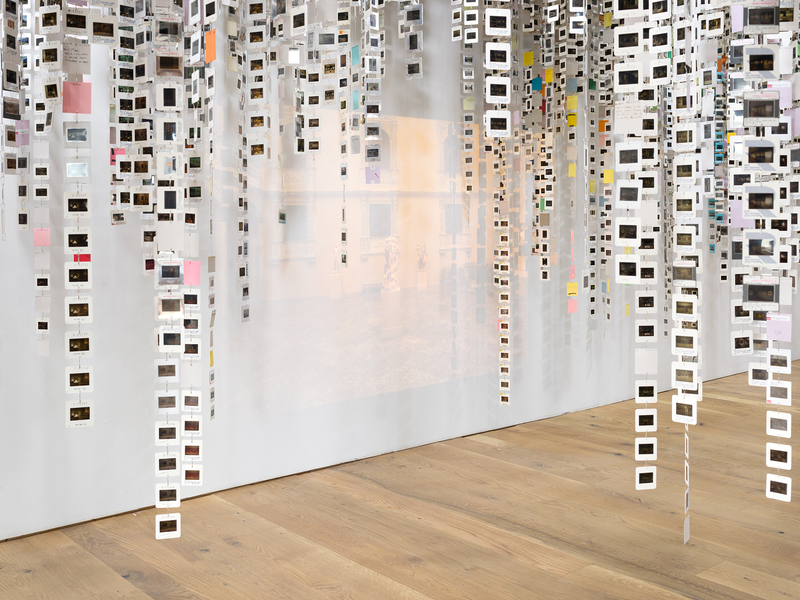 As of only one or two generations ago, the art world predominately used 35mm slides to document artwork and exhibitions, filling countless carousels, projectors, and cabinets in a desire to archive and disseminate the history of art. Today’s ubiquitous and low cost digital imaging, however, has motivated major cultural institutions to digitize their slide libraries, consequently rendering vast collections obsolete. 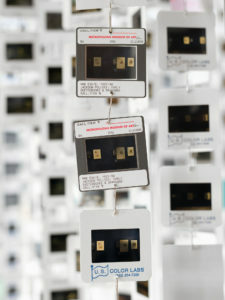 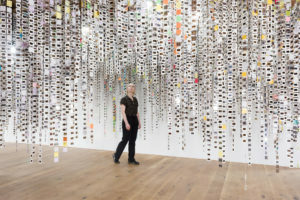 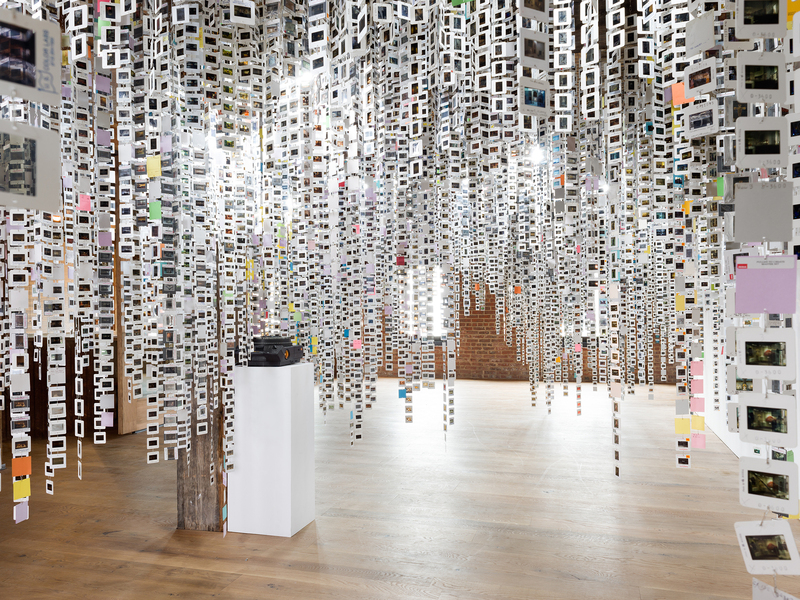 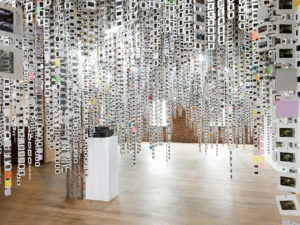 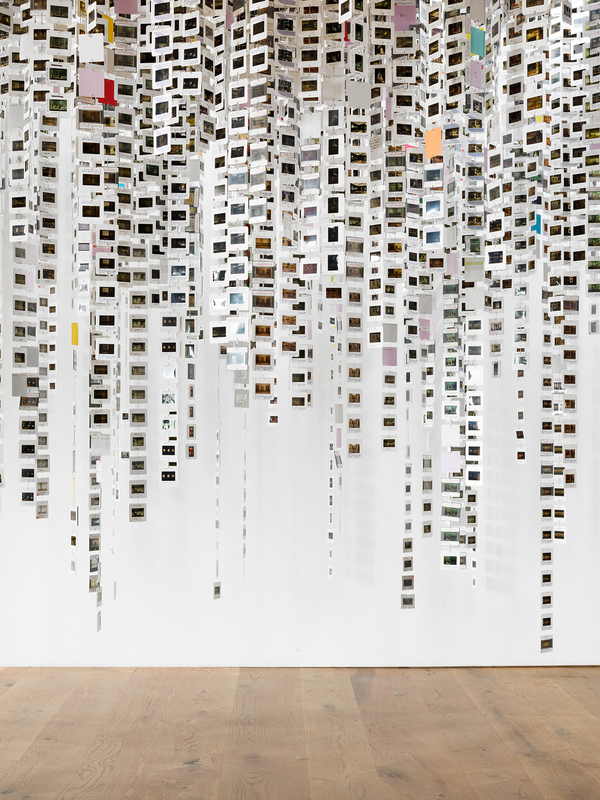 Shin has strung together thousands of individual slides into a large-scale installation intended to reconstruct the systems of categories, hierarchies, and chronologies that once contextualized these archives. 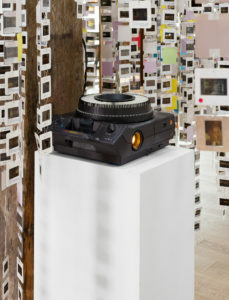 The installation will also include slide projectors showing selected images from these archives. 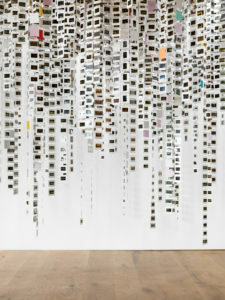 The title MetaCloud references meteorology, wherein the term ‘cloud’ suggests a visible mass of minute particles captured in the atmosphere. 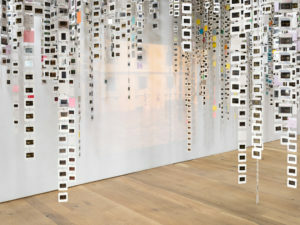 Similarly, the installation hovers over the gallery space, presenting thousands of finite units that paradoxically represent an ephemeral form. 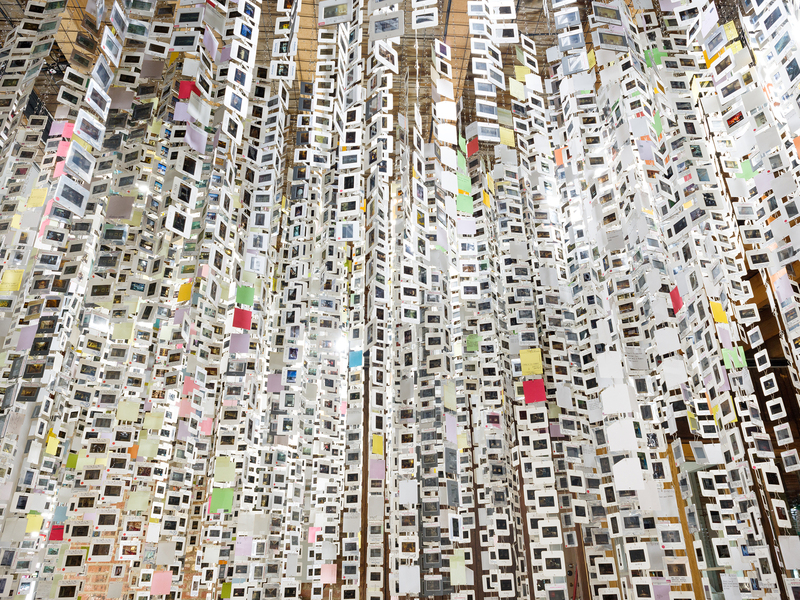 Analogous to the so-called online ‘cloud’ of digital storage, MetaCloud insists upon the physical objecthood and order that were inherent to slide libraries. 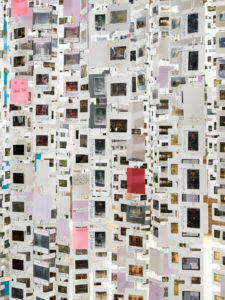 Shin invites viewers to contemplate the inner worlds within each frame, and to consider the loss of context and resolution brought forth by the reduction of materials to data bits. 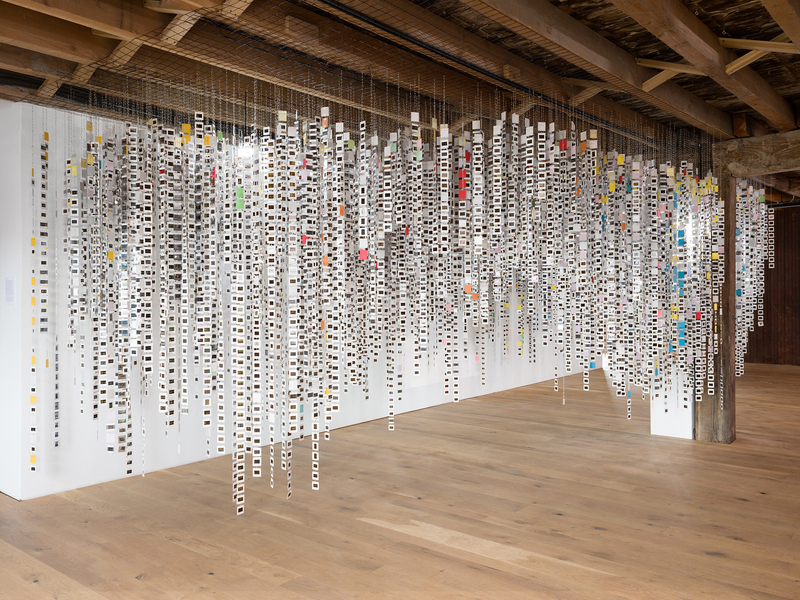 In addition to the Met’s collection, Shin will be requesting donations from the artist’s own community to create a new archive of 35mm contemporary art slides at Pioneer Books (289 Van Brunt Street in Red Hook) and Cristin Tierney Gallery (540 W 28th Street in Chelsea). 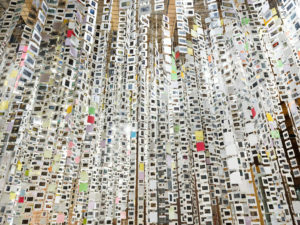 Shin’s personal collection of slides, dated from the 1990s through early 2000s, will also be included in the exhibition’s programming. 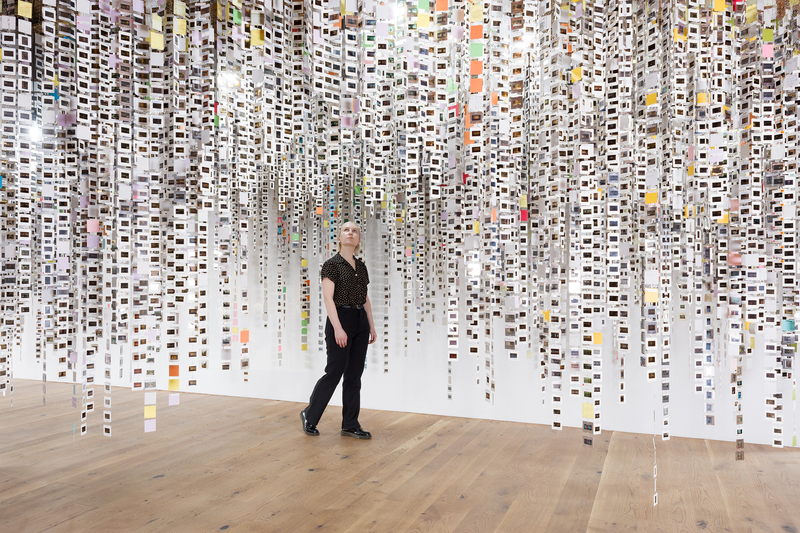 By creating a new body of contemporary art slides, which notably contrasts with the Met’s institutional records, MetaCloud maps and makes visible a community of professional artists that is more inclusive of gender, ethnicity, and generation. 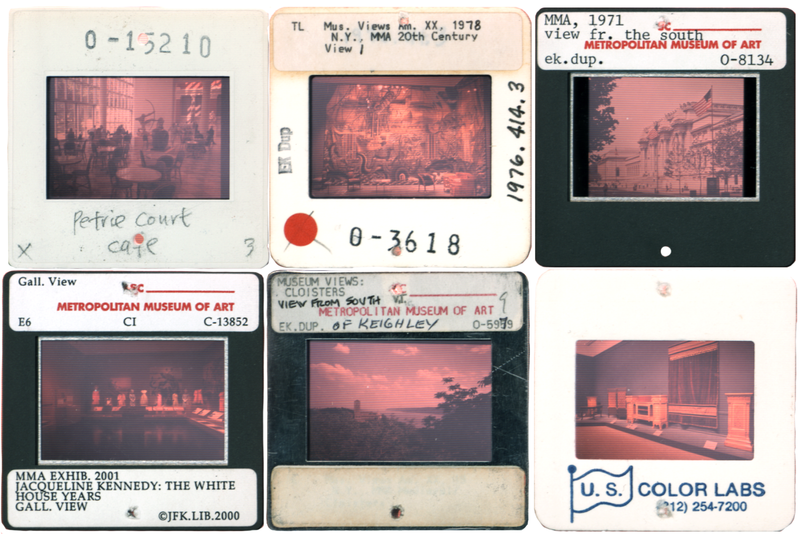 MetaCloud is a satellite exhibition of Materials for the Arts’ exhibition Institutional Memory: 35mm Slides from the Met’s Collection organized by Hallie Bahn and Omar Olivera of Materials for the Arts and Marco Castro Cosio formerly of the Met Media Lab. 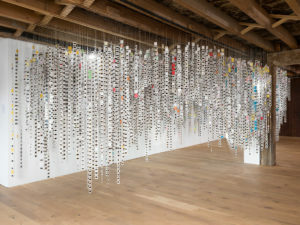 With additional support by the Pratt Institute Faculty Development Fund.